These colors from Behr 2016 Color Trends are (from left to right): Fifth Olive-nue (T16-08), Symphony Gold (T16-16), Citron (T16-09), Ivory Keys (T16-17), Mauve Melody (T16-18) and Raw Copper (T16-14). 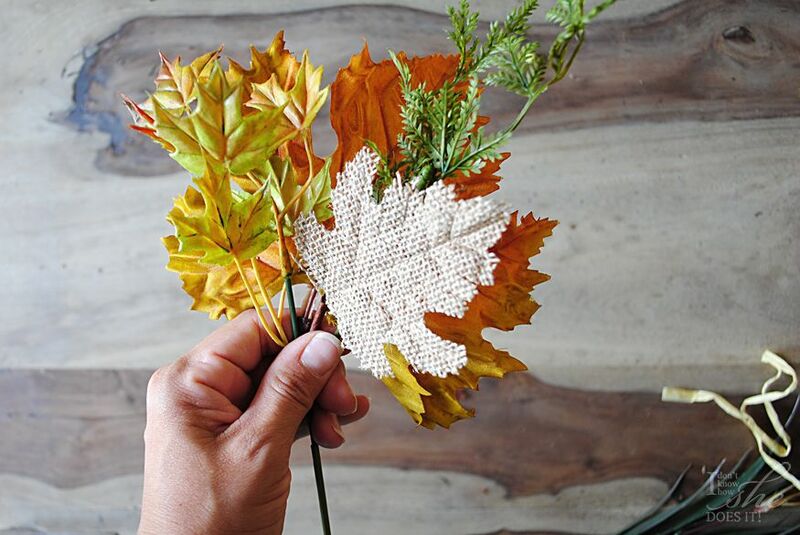 This year the perfect hues for my Autumn door wreath where based on some of +BehrPaint 2016 color trends. Some of my favorite colors were the basic yet elegant neutrals with hints of ochre, marigolds and greens. The best part of working with this palette was seeing how wonderful this wreath stood out when placed over the “Iron Gate” (Behr’s MQ2-l) color of the front door. 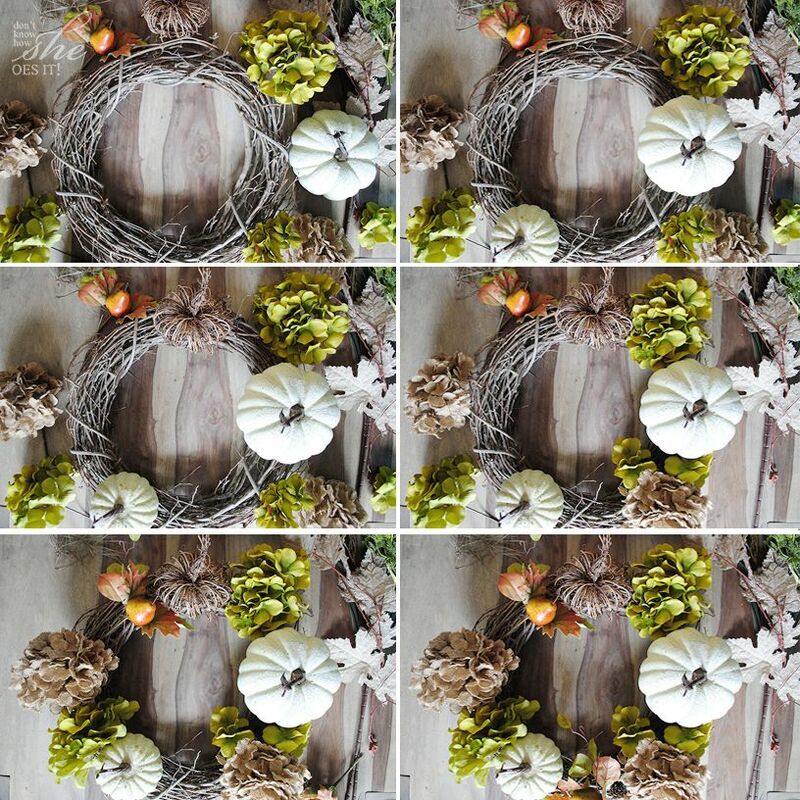 This wreath was very simple to do. I’ll be posting a GIF on my Instagram account where you will see how each element was placed. 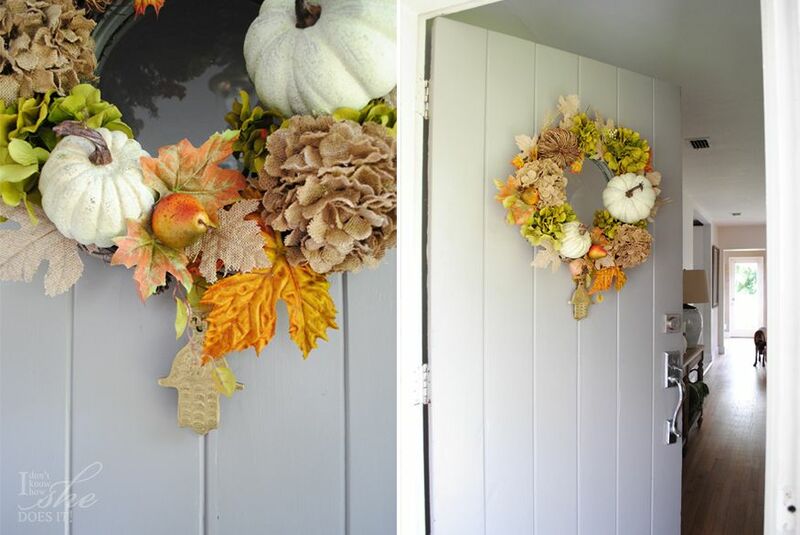 For this project I only used a grapevine wreath and a tiny pumpkin from +Jo-Ann Fabric and Craft Stores, some silk, plastic and burlap foliage (also from Jo-Ann) and 2 plastic ivory pumpkins from +Michaels Stores. After placing the big elements (the pumpkins) over the grapevine wreath (making sure they were equally spaced), I glued them with a hot glue gun and proceeded to do the same with the burlap and silk hydrangeas. When all these big to medium pieces were placed, I filled the empty parts with the rest of the foliage. For this I made small groups from single parts and again, playing with the balance and contrast of each of the elements. I really adore how this wreath turned out and the gorgeous colors in it. The ivory pumpkins are definitively the focal point in the arrangement but, because they are surrounded by other elements with similar proportions, they make a soft statement. 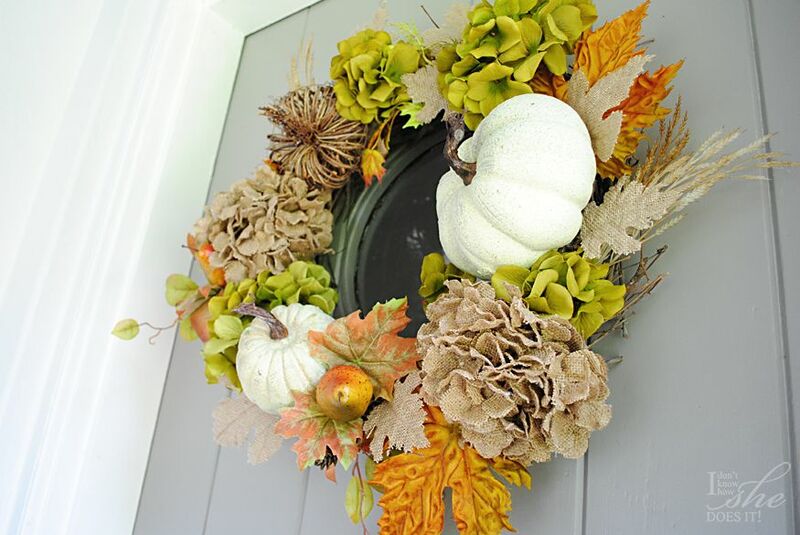 Are you planning on doing a wreath or buying one? 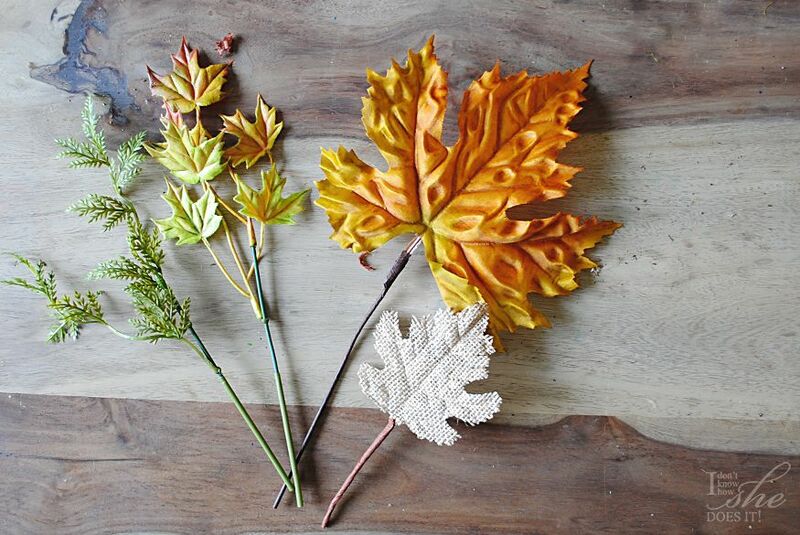 What are your favorite color palettes for this season. 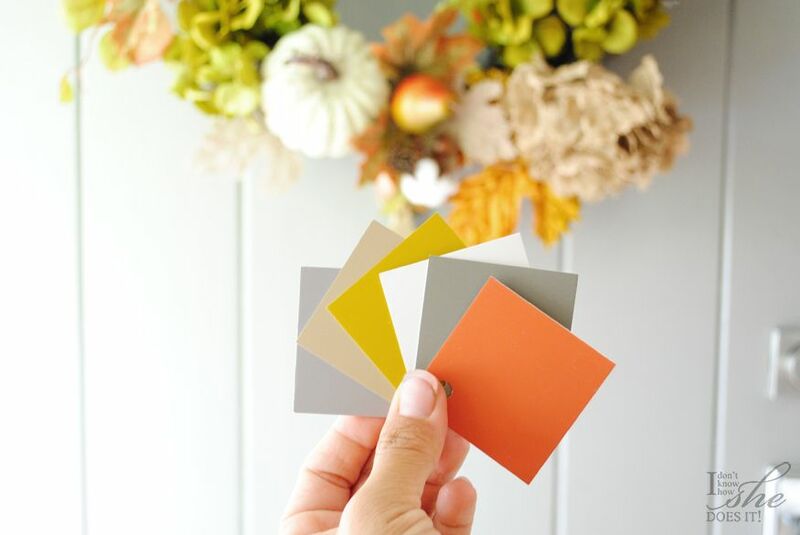 If you’re still undecided, I invite you to take a peek at BehrPaint 2016 color trends and be a trendsetter during this Autumn season.